We are part of Mno-Bmadsen, the investment enterprise of the Pokagon Band of Potawatomi Indians. It is driven by the Tribe’s ongoing commitment to its citizens and the region through business development, job creation and diversification of the tribal economy. The Mno-Bmadsen Family of Companies provides architecture, engineering, land-use planning, environmental mitigation and restoration services, construction, mechanical contracting and plastic molding to the commercial, government, and tribal markets. A major advantage to working with Mno-Bmadsen is the government privileges, immunities and rights as provided expressly in the Mno-Bmadsen charter, reflecting the sovereignty of the Pokagon Band of Potawatomi. There are numerous advantages and opportunities available to Native American tribes including Department of Defense Indian Subcontracting opportunities, the SBA 8(a) program and other contracting incentives specified under the United States Code. Seven Generations Architecture and Engineering, LLC specializes in architecture, engineering, interior design and planning services to the federal, commercial and Tribal markets. Located in Kalamazoo, Michigan. 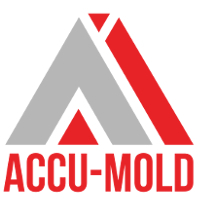 Accu-Mold is a plastic engineering and tooling company located in Portage, Michigan. For nearly 40 years, Accu-Mold has been successfully serving our customer’s tooling and molded part needs. Their staff has decades of part design, mold design, mold building and mold processing experience. Located in Portage, Michigan. The Bent Tree Market, located south of the Four Winds Casino Dowagiac, opened for business in 2013. It was designed by Seven Generations Architecture and Engineering and provides gas, tobacco, and convenience store items to residents in the area. Located in Dowagiac, Michigan.